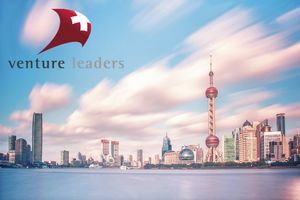 In just a few weeks our Swiss National Startup Team will be heading to China on a game-changing roadshow to form vital connections and launch their businesses in a vast new market. Former Venture Leader Immomig is adding its support. Immomig is a software solution for real estate professionals, encompassing all aspects from easy creation of polished marketing materials (both websites and flyers) to contact management and billing. Founder Patrick Maillard was an early Venture Leader, traveling to the USA in 2007, and has been a staunch supporter of the program ever since. Here he explains why. How was the Venture Leaders experience beneficial in growing your own business? Beforehand, my experience was more focused on myself and Switzerland. However, thanks to the Venture Leaders program, I was able to open up to the outside world and learn new things very quickly. For example, I was able to learn how differences in culture and in mentality can influence an entrepreneurial vision and how business is done. This allowed me to compare myself abroad and to know if I was on the right track or not. I have also met some amazing people. Indeed, the team members as well as the organizers inspired and motivated me a lot. I keep an excellent memory of it as well as friendly relations. All these learnings and experiences condensed in 10 days contributed to the growth of Immomig. Why did you decide to become a sponsor of the newest Venture Leaders? I think this program is really excellent and necessary for Switzerland's business ecosystem. Our country must not keep to itself but open itself to the outside world. This openness requires significant resources for young entrepreneurs, who, without this program, would have great difficulty making such rapid progress. So I wanted to help support the Venture Leaders, convinced that it represents an incredible opportunity for all entrepreneurs and future entrepreneurs. What do you hope the 2018 Venture Leaders will get out of their trip to China? I hope they will have a similar experience to my own trip to China in 2016 – that was amazing. We could see a huge country moving towards regaining its place as world number one. It's very impressive and even a little scary. This has motivated me to produce even higher-quality services and to think about intelligent solutions to reduce our costs, knowing that China has become a formidable competitor.